The next 12 months look set to be incredibly exciting for the cruise industry with a number of the major lines launching new flagships and celebrating major birthdays in extravagant style. Here we have a look at a few of the 2015 events which are getting the Cruise1st team excited like a child at Christmas. Launching in April, the Anthem of the Seas will be the third largest cruise ship in operation and the largest sailing regularly out of the UK. The second ship in Royal Caribbean’s Quantum Class, the Anthem of the Seas will be one of only two ‘smartships’ in operation offering next generation cruising facilities and amenities. 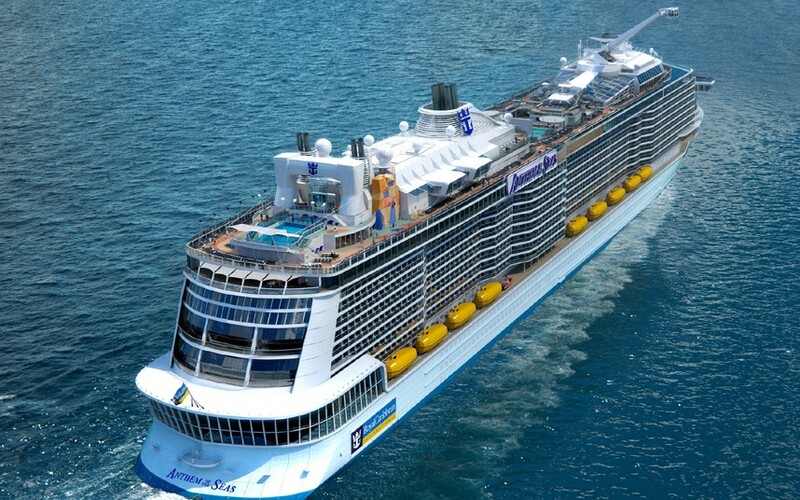 Highlights of the ship include bionic bartenders, skydiving simulators and the ‘SeaPlex’ – the largest entertainment complex on the seas featuring bumper cars, basketball courts and discos. The Anthem of the Seas will spend its first season cruising around the beautiful ports of the Mediterranean. Click here for a full range of Anthem of the Seas deals from Cruise1st. The upcoming ship from Norwegian Cruise Line is still under construction by Meyer Werft, but is set to launch in October 2015. The first ship in the line’s Breakaway Plus class (to be joined by the Norwegian Bliss in 2017) will host a series of unique features and will become the largest member of the fleet. The ship is set to replace current flagship, Norwegian Epic, in Miami and will sail around the East Caribbean during its debut season on the seas. With a debut voyage set to launch in March, the P&O Britannia is set to break a number of P&O and industry records. The ship will become the largest member of the P&O fleet and is the largest ship ever to be built primarily for the UK market. 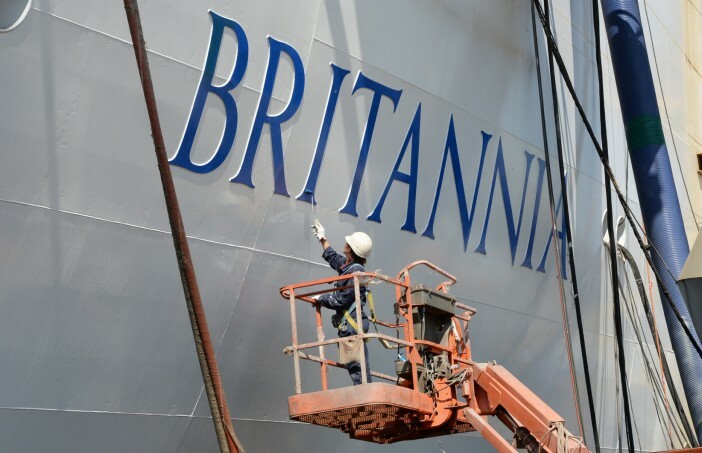 The patriotic Britannia will also feature a 94 metre Union Jack flag on the bow, the largest of its kind in the world. The P&O team have concentrated heavily on the ship’s culinary offerings with TV chefs James Martin, Atul Kochhar and Marco Pierre White all operating their own eateries on the Britannia. The grand old lady of the cruise industry will turn 175 in 2015, and is marking the occasion with a number of unique celebrations. Parties will be thrown to celebrate the anniversary on every P&O cruise sailing in 2015 alongside special standalone celebrations. The three members of the Cunard fleet, Queen Mary 2, Queen Victoria and Queen Elizabeth, will all meet between 24 and 26 May in Liverpool. The three sister ships will meet in the historic port for the first time. On 4 July, the Queen Mary 2 will also make the same crossing made by Cunard’s very first liner sailing from Liverpool towards Halifax, Canada. The fleet will additionally play tribute to the Lusitania on the 100th anniversary of the ship’s sinking in WW1. Although not quite as old as Cunard, Princess Cruises will be celebrating 50 years on the seas in 2015 by hosting a series of events including special itineraries down the Mexican Riviera – where it all started for the line in 1965. The company will also host Love Boat Discos celebrating the role popular sitcom, The Love Boat, had in increasing exposure of Princess Cruises and the cruising industry as a whole. … and don’t forget, 2015 will see the launch of Cruise1st TV – our very own television specials aired on Sky with all our best deals. See here for more details. For a full range of 2015 deals, click the button below or call our sales team now on 0808 274 6777.